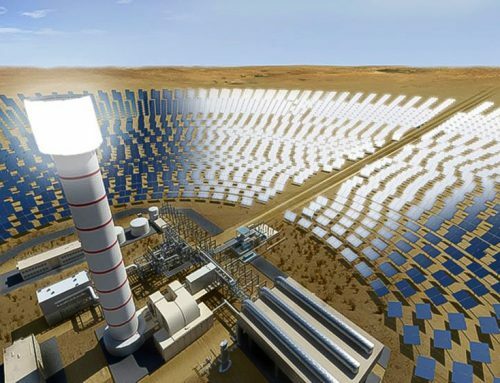 PV or Concentrated Solar Power, which solar power technology will you choose? Solar energy has been developed at an unbelievable speed in the past decade. As for generating electricity from the sun, the two dominant technologies go to PV (photovoltaic) and CSP (concentrating solar power). The average annual growth rate of PV reaches 45.5% from 1990-2015, and the global capacity of PV plants has soared to 303 GW till end of 2016. China ranks top in terms of solar PV installed capacity, and is also the largest solar module supplier worldwide. Japan, Germany, USA and Italy occupy the other top 4 seats of PV markets. The knock-off efforts of scaling up markets are slumping PV cost. A world record-low bidding price, less than USD 0.03/kWh, appeared in 2016, enhancing the competiveness of solar energy compared with fossil fuel power. While the capacity of CSP is also expanding, though with less deployment. 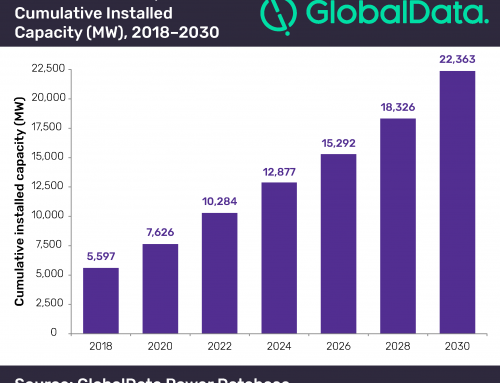 The global installed capacity is around 5 GW by the end of 2016. Traditional markets like Spain and USA still dominate but emerging markets such as China, MENA…etc., are catching up fast. Although cost for CSP is still at a high level, it shows a vast potential of fast-reducing. 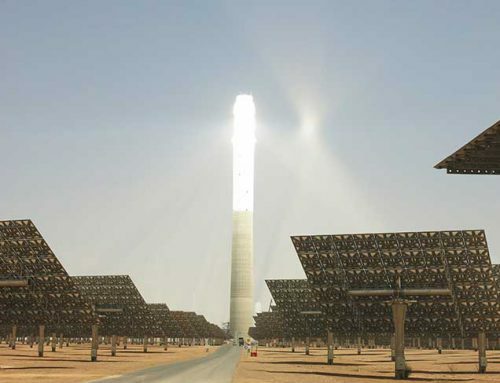 For instance, Morocco Noor1 project received the PPA of $18.9 cents/kWh in2012, and 5 years later, the lowest bidding price for DEWA tower project reached $9.45 cents/kWh, almost half of that in Noor1. In addition, lots of factors like technology, investment mechanism, DNI resources may affect the final cost, indicating the great potential for further cost reduction. Currently, the cost for CSP seems to be much higher than PV. Here comes the questions which will be discussed during CSP Focus MENA 2017 Sept.13-14 Dubai conference: PV or CSP? How to select these 2 solar technologies? Does PV stand at a leading position? If the judging criteria is only money, the answer probably is yes. Nevertheless, it is not fair to justify those 2 solar technologies merely by cost. PV shows lots of advantages: the system is much simple, both for installation and O&M. Semiconductor could produce direct current via photovoltaic effect, without complicated equipment. Technology improvements and expanding markets force the cost dropping down to a low level which can compete against traditional power. However, there exists some problem with PV, which relies too much on the sunlight, unable to produce constant, smooth power overtime, especially during cloudy day. Moreover, when the sun falls, electricity demand increases to a high level but PV outputs fade, resulting in a famous California duck curve phenomenon. 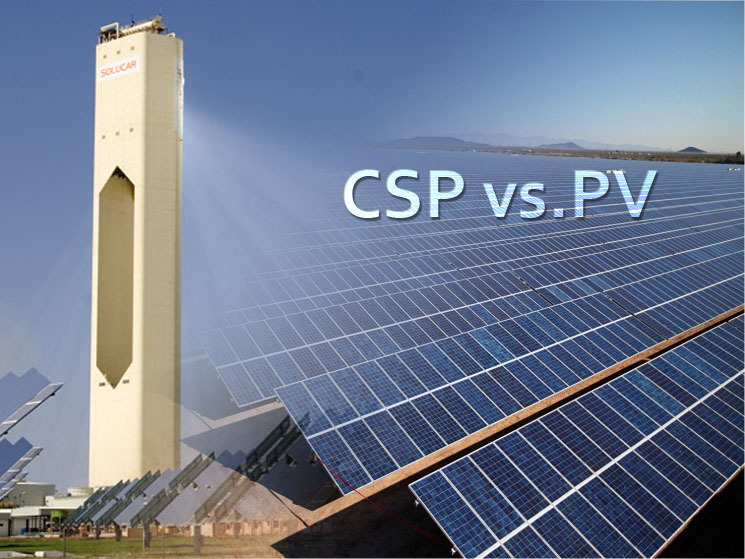 PV must be combined with storage system that can produce stable output as CSP with TES does. In most cases, Li-ion battery is the best choice. 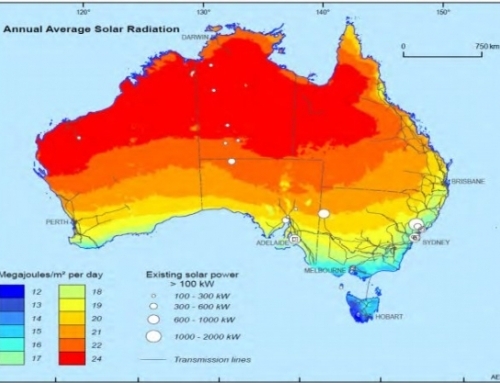 But the largest advantage of PV—lower cost— is narrowed or eliminated when the plant integrate with power storage. At present, the cost of Li-ion battery pack has fallen below $ 230/kWh, still expensive in spite of experienced huge reduction. It is also difficult to foresee how the breakthrough for battery technology and materials will be, and hard to tell the cost reduction trend in the near future. Another questions is, during the whole life span of a power plant, it may needs 4~5 times to replace the batteries as degradation is still a severe problem at the moment, and it’s also costly. 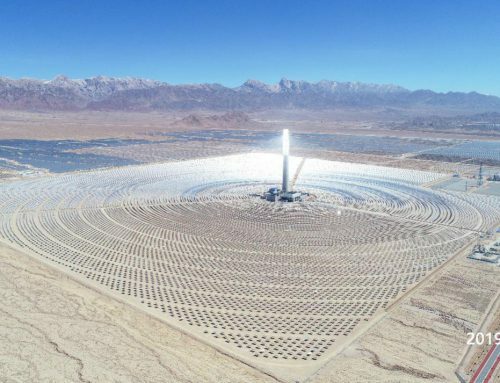 The largest advantage for CSP is that it could provide dispatchable power as well as the huge heat storage capacity. Molten salt is widely used for heat storage as it is cheap, safe and easily accessible. From technical point of view, storing thermal heat is much easier and cheaper than storing electricity. Armed with thermal storage, CSP plant is quite friendly to power grid, offering high quality electricity even during nighttime. Considering the cost of CSP with storage will be reduced by means of market expansion, technology improvements, government support and positive competition. Optimistically speaking, CSP is and will be playing an important role in energy structure. 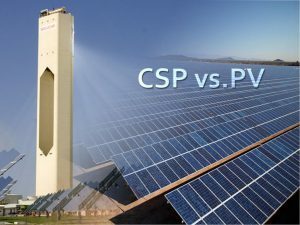 It can’t be denied that the debate between PV and CSP will continue. However, both technologies have their own features and advantages, no one should be ignored at the moment. Both development strategies rely on their own markets, cost reduction trends, technology innovation, customer demands and other factors. In general, solar energy, both PV and CSP, will continue to be one of the guardians on the path to cleanenergy world in the future. Speakers sharing the PV VS CSP topic during CSP Focus MENA 2017 Sept.13-14 Dubai are from experienced international and local developers/EPCs including Michael Geyer, VP for Concessions and BD, Europe and Africa from Abengoa, Wim Alen, Senior Vice President Business Development from ENGIE and Imtiaz Mahtab, Managing Director for MENA from SkyPower. Click to get brochure/register for CSP Focus MENA 2017.